Tekorin the NEKO: Happy Gift from our blog furriend 2! I'm so happy meow meow!! So where do you think happy Tekorin is? I enjoy watching outside from here everyday. I say Bye-Bye to Daddy from here everyday since I was a little baby. And why was Tekorin so happy? 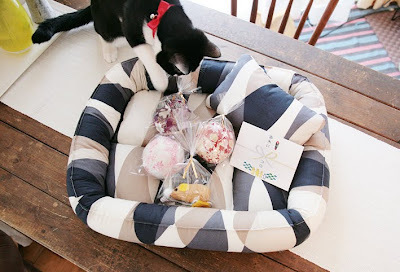 Our blog furriends sent us these lovely gifts!! 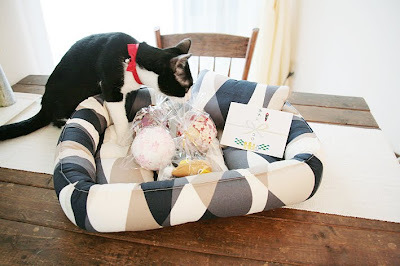 Stylish comfy bed and lovely ball toys and a mouse! This lovely Thank You card. 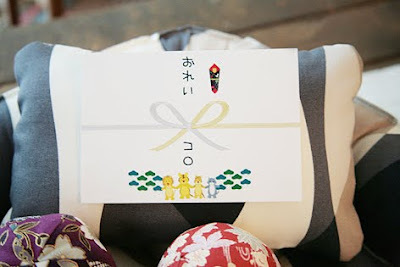 Our blog friends,Koro-chan sent these gifts. This is a return gift from her. 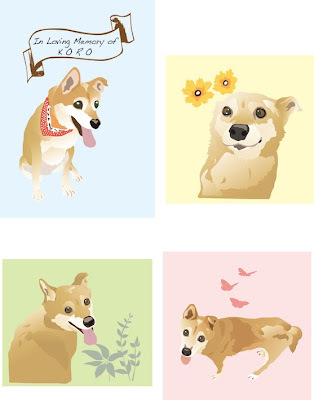 Koro-chan's Mom ,Haha(meaning mother in Japanese)-san is really a true animal lover. I've been reading her blog since long time before I started my own blog. She's been rescuing many dogs and cats and finding forever homes for them. This blog is all written in Janpanese,but just in case some of you read Japanese, this is the link below. Actually,because I had been reading her blog,I could rescue Tekorin and Jean,I think. to Haha-san and furriends in Room#703. 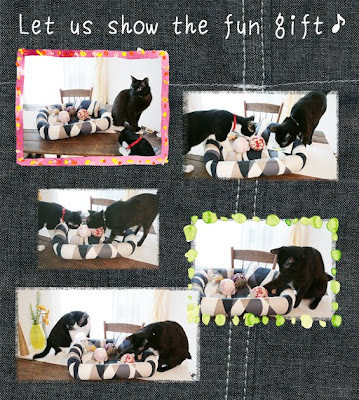 Let me show how our kitties were excited about this happy gift. But it seems he liked it! they sound lovely when playing! 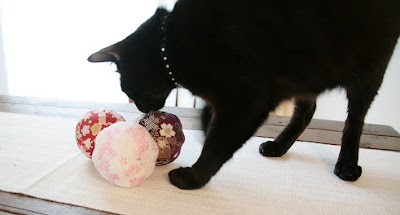 I have to be very careful with the toys because Ku-suke once swallowed a toy. But no need to worry for these balls!! Too Big to swallow them! 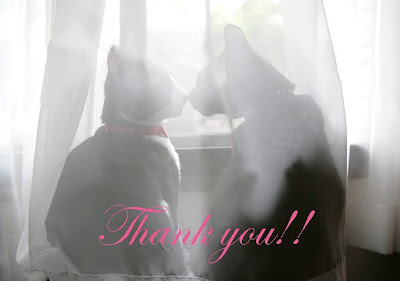 and all furriends who came visit our blog!! I really like that the cat bed has a pillow. Have fun with your toys boys! The gifts are wonderful. What a nice bed. 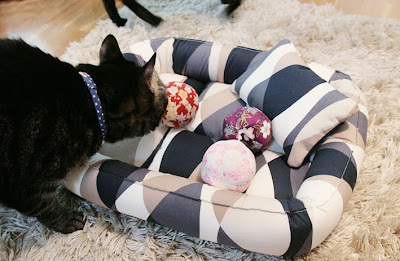 I am sure your lovely cats will enjoy their gifts a lot. 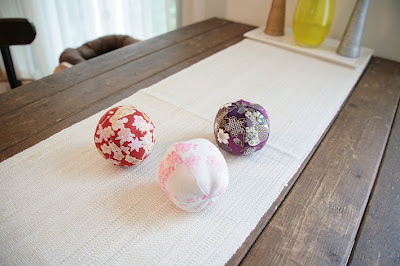 The treasure balls are really cute too. 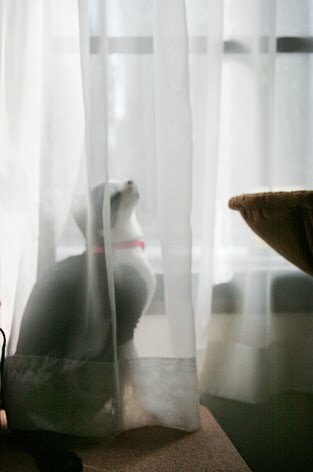 I love the way cats are so curious about everything. I could tell your cats were very curious and excited aboout their gifts. What a wonderful surprise gift you had gotten! 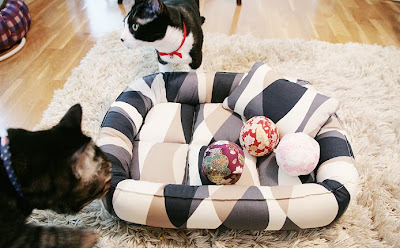 Those treasure balls are really cool and that bed is dynamite! We hope you have lots and lots of fun and that last picture of you both is absolutely adorable! That was so nice and you sure did have fun! Thank you all for warm commets!! Yes,we love the "nose to nose"pic! Thank you!! 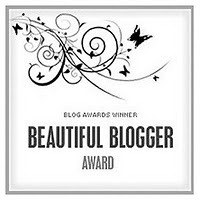 We put it on the top behind the title of this blog! Dear TK,I think it's cool that this bed has a pillow,too! Dear Boo-Bah,I do agree! 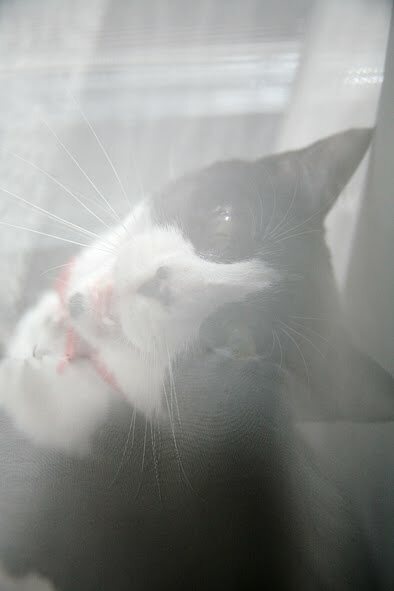 Being curious about everything makes life full of fun for cats and humans! Dear Jaqueline,I'm so glad you liked my illustrations! Your babies are precious,too! I adore them! 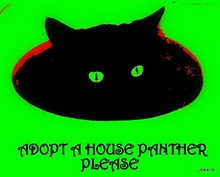 Dear Kool~Kittie~Krew,Yes!! This gift was FABULOUS! You are truly adorable,too! Thank you! Dear Brian,Yeeeees!! we did have fun! Hope you can come play with us!